Get ready! 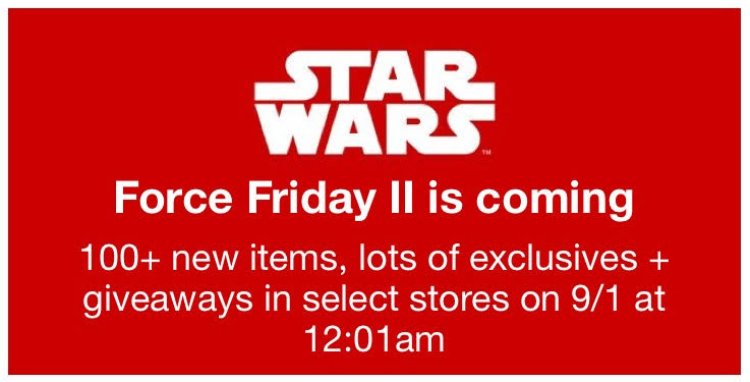 Select Target stores will be staying open late to host a Star Wars Force Friday II event on Friday, September 1st at 12:01 am. During this even they will be launching 100s of new items from the Star Wars: Last Jedi. To sweeten the deal, early guest will be entered in an exclusive giveaway to win a 4 foot plush Star Wars character.